Hello friends! We need to talk….we need to talk about marketing plans. I know, I know many of you will have heard of them, read about them even, but I’m willing to bet very few of you have actually written one. It’s okay, you’re not alone. It’s amazing how many businesses think that having no marketing plan is no big deal. But let me tell you people, it is a big deal. 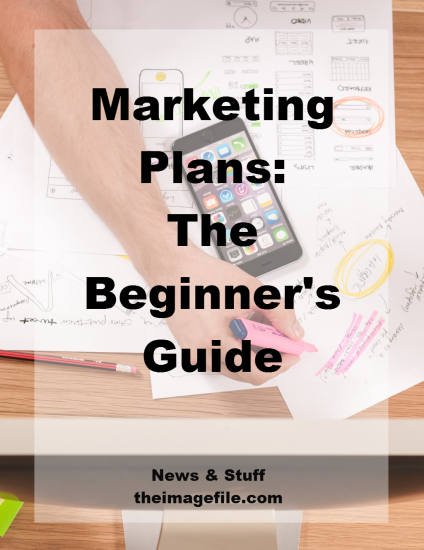 Now marketing plans can look a little intimidating and like a whole lot of work from the outside, but honestly you probably have all the relevant info already. Even so, we’ve been super helpful and written a comprehensive beginner’s guide to what a marketing plan is, why you need one and how to get started. So let’s do this! Let’s clarify one thing from the get-go. A marketing plan and a business plan are totally different things. A business plan is like a treasure map. It shows you where the treasure is (your long-term goals) and the landmarks you will meet along the way (your short-term goals). Your marketing plan on the other hand, is like a bag filled with boots, climbing gear and a raft. It’s the tools you will need to get there. HOW DO I START A MARKETING PLAN? 1. Why Would Potential Customers Use Your Business? Maybe you provide family portrait sessions that also offer speciality services like pet photography (they are man’s best friend after all). Or perhaps you are offering corporate portraits that will cause admiration and respect amongst their customers. Whatever you’re offering, make sure you have a very clear understanding and focused insight into why your customer is going to want you. 2: Who Are Your Target Customers? Unless you are in a very, very specific niche most markets have hundreds of potential customer bases. However, in order to succeed faster and better you need to determine who your best target markets are. These might be super-wealthy couples who will be able to splash out on your luxury and bespoke wedding service. Or maybe they are the full-time working mums who are going to appreciate the benefits of your “out of work hours” photo shoot bookings. 3: Who Are Your Competitors? We know that competition is good for business and regardless of your industry their is always a competitor. The more you get to know your competitor the more you can compete with them. Much like with your customer base you need to know who they are, what they’re offering, their strengths and weaknesses. Once you have this information you can tailor your marketing plan to include them; for example maybe they provide great price cuts but appalling customer service. That would be an angle to consider when planning your marketing campaigns. 4: What Does Your Brand Stand For? Your brand will ultimately stand for certain values and these need to speak to your target market yet have a twist on what your competitors are offering. The best brand statements are those that are true to what their business is offering and focus on the customer’s needs. Simply, there’s no point saying you want to revolutionise the music industry with new modern technology if you’re selling vinyl. WHERE CAN I MARKET MY BUSINESS? Now that you’ve figured all that out, you can start to focus on where you market your business. Of course there are the traditional routes such as newspapers, magazines, radio and TV. However, we want to focus on the three main areas of marketing that have become increasingly popular throughout the business world in the last few years. The first is social media marketing. Social media has become an essential part of business over the past few years. However many companies have yet to realise the opportunities that Facebook, Twitter, Google+, LinkedIn and other social channels have to offer. I understand, the concept of social media marketing can be overwhelming for small business owners but the process does not need to be a challenge. Figure out where your target audience spends most of their time online. This is really fundamental as you don’t want to get all dressed up for Twitter to find out everyone else is partying over at Facebook’s house. It would be awkward and a waste of time. The second platform to seriously consider is email marketing. It may not be as new a concept as social media marketing but it is just as effective and popular. You can implement email marketing in a number of ways including newsletters and promos. You can even use systems such as MailChimp and Mad Mimi to design beautiful and professional email templates that save time and effort further down the road. Finally, consider mobile marketing. This is a way of connecting with customers via their phones, tablets and any other mobile device. This is a great extension of email and social media marketing as unlike other platforms texts and push notifications are harder for the recipient to ignore. However, be aware that it is an avenue to approach with caution and handle with respect. Basically, don’t go texting people at 1am or sending push notifications every half hour. It’s not cool. You need to decide which strategy is best for your business and what is really going to help you achieve your short-term and long-term goals. Consider how much you are willing to spend on your marketing? What outcomes are you hoping for? What tasks do you need to reach your end-game? Creating a well-defined list of budgets, goals and actions can help you create a marketing plan that turns into a reality. Equally, decide in advance how you will measure your success. Set a six-month checkpoint for each channel to compare the results. If something isn’t working, maybe you need to rethink your strategy or just let it go. As Einstein said “the first sign of madness is doing the same thing and expecting different results”. If you managed to get to the end of this blog post, I applaud you! You must be really serious about your business so imagine me throwing some virtual confetti your way. If you want to learn more about social media marketing or email marketing check out our other articles here!